What Carpeted Floors Can Do For a Home's Interior	Overall rating:	5	out of 5 based on 2	reviews. Carpet has a bad reputation with some homeowners. We think that is because they’re only seeing the negative effects of having carpet in your home, like how it is so much harder to clean that hardwood or linoleum. However, we disagree with those naysayers. We instead feel that carpet floors can do wonders for a home’s interior. 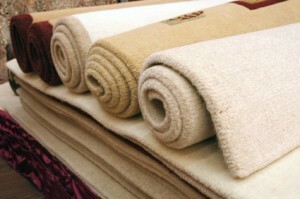 Carpet Floors Are Soft on Feet – Regardless of who or what you have in your home, carpets can act as a barrier. They lighten the step of anyone crossing a room, which can be a great thing if you have foot problems in your household. They Provide Insulation – Although mild in insulation properties, it can still be noted that carpeted floors acts as an insulation barrier. It can help keep the warm air in and the cold air – from the basement for example – out of the house. They Act as a Sound Barrier – It is no secret that carpeted floors often act as a sound barrier. How many times have you seen carpeted music studios? This is because carpets act as a barrier to intense sound. It’s a nice perk of having carpets, especially if you have downstairs neighbors. If you still have some hesitation about carpet floors, look no further than D&R Floors. We guarantee we can bring you over to the pro-carpet side. We feel this flooring material is so beneficial, no matter what size of the family or noise potential of the office building. Invest in carpet flooring with D&R Floors. 972-625-4100.